Three. That’s how many of this week’s new releases are based around bikes, and each is different in their own little way. 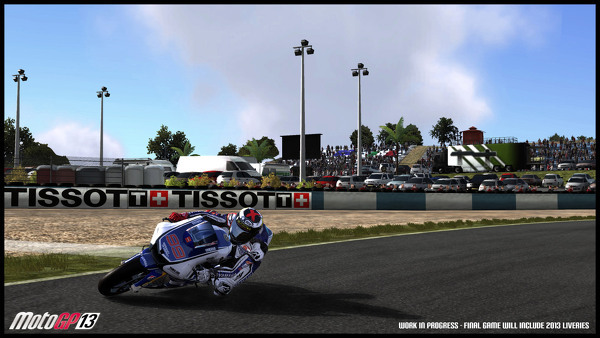 MotoGP 13 may seem like an acquired taste, but Eurogamer’s review makes it sound like a taste worth acquiring. They handed out a resounding 8/10 yesterday, claiming to to be a “lean, scrappy racer that’s not just the best motorbike game around at the moment – it’s one of the best pure motorsport experiences on console for years”. We’re are pleased to see it being released on PS Vita as the handheld hasn’t had anywhere near as many racers released on it as the PSP did. Then again, if memory serves, the PSP had something like 12 racing games in its launch line-up alone. If you prefer your motorbike games to have a smattering of violence there’s 1960’s free-roaming biker sim Ride to Hell: Retribution on Xbox 360, PS3 and PC. The third and final bike-based game of the week is Tour de France 2013: 100th Edition for PS3 and Xbox 360. The last few Tour de France games received a mauling, but it would appear that the developer has given this edition an overhaul. Still, we’re very wary of their track record – Tour de France 2009, 2010 and 2011 all failed to break 50% on Metacritic. The Thundercats-alike LEGO Legends of Chima: Laval’s Journey is another arriving on PS Vita, as are two belated conversions. 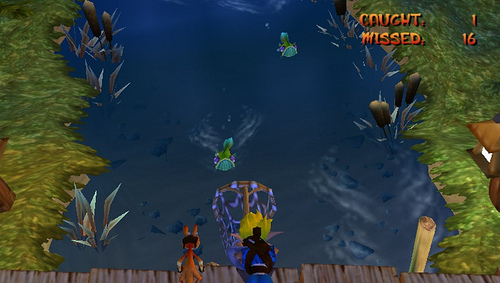 Namely, The Jak & Daxter Trilogy, complete with an eyebrow raising 100 trophies to collect, and Disney Epic Mickey 2: The Power Of Two, which is being released at £11.99 on PSN. Laval’s Journey is also being released on 3DS this week, with a demo is hitting the 3DS eShop this Thursday. Another new release that’s an acquired taste is Ashes Cricket 2013, available on PS3, 360 and Wii U. This year’s iteration has been built from the ground up with a new engine. Publisher 505 Games has high hopes for it and with last week’s Rugby Challenge 2 entering the UK chart at #12 it has every chance of being a strong seller this summer. Nintendo fans eager for new games should be rejoicing as there’s loads of stuff being added to the various Nintendo eShops. 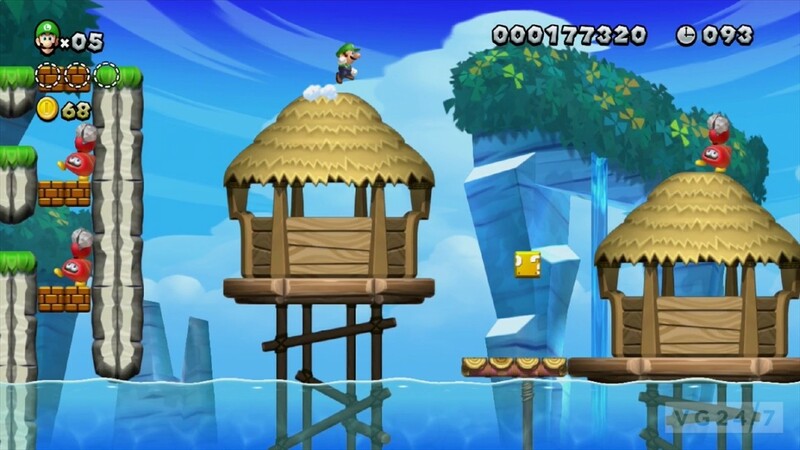 The most significant of these is add-on New Super Luigi U which leaps on Wii U for £17.99. The retail release is due out late next month for around a tenner more. Can you handle any more plumber-related tomfoolery? Nintendo must hope so as Mario Bros. and Wrecking Crew both make their way to Wii U Virtual Console for £3.49 each. Over on the 3DS eShop there’s the intriguing BUGS vs. TANKS from Mega Man creator Keiji Inafune. This shooter sees a World War II tank become shrunk to the size of a bug. We expected something like Tank! Tank! Tank! or Earth Defence Force on first inspection, but it would appear to be a top-down affair. Atlus have two to offer as well – the slightly weedy looking real-time strategy game The Phantom Thief Stina and 30 Jewels and the colourful platformer Witch’s Cat. 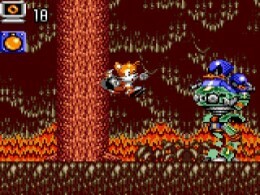 They’re joined by two new Game Gear Virtual Console releases – Tails Adventure and Defenders of Oasis, at £4.49 and £3.59 respectively. Tails Adventure is a neat little game – visually impressive for an 8-bit title – while Defenders of Oasis was one of the Game Gear’s more popular RPGs, if only because Sega didn’t bring a great amount to Europe. Also launching for a modest £3.59 is virtual pet thing 101 DinoPets 3D. The DSi releases keep on coming too, in the form of Armageddon Operation Dragon. Be warned though – Nintendo Life reports that it’s not very good. Capcom’s Dungeons & Dragons: Chronicles of Mystara finishes the week off, out now on both XBLA and PSN for 1,200 MSP/£11.99. This arcade collection includes two 2D brawlers – Tower of Doom and Shadow over Mystara – with online play, improved visuals and “a trove of extras”. Next week: Deadpool (360, PS3), Minecraft (Xbox 360), Game and Wario (Wii U), Time and Eternity (PS3), Painkiller: Hell and Damnation (PS3, 360), Magic 2014 (XBLA), Doodle Jump Kinect (XBLA) and free-to-play Spartacus Legends (XBLA). It would appear 505 has delayed Ashes Cricket right at the final hurdle.